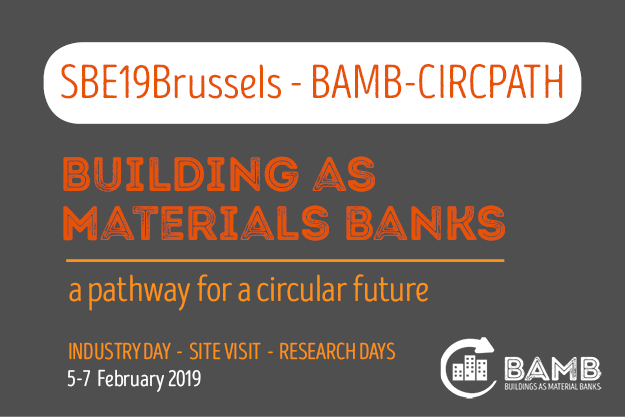 The BAMB Consortium is pleased to invite you to participate in BAMB’s final event “BUILDINGS AS MATERIAL BANKS – A PATHWAY FOR A CIRCULAR FUTURE” (SBE19 Brussels – BAMB-CIRCPATH) – Research Days that will be hold in Brussels on 06 to 07 of February 2019. 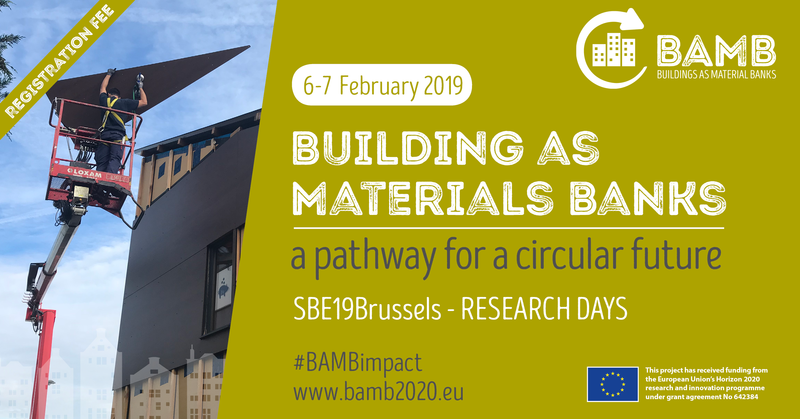 The Consortium of the H2020 BAMB Project is proud to inform that the BAMB final event Research Days is part of the worldwide prestigious SBE19 Conference Series. The research Days is an important step on the pathways towards a circular economy in the building/construction sector. This international conference intends to bring together researchers and industry experts from the entire world to exchange their ideas and research and showcase advanced innovative technologies and methodologies for the built environment. All accepted papers will be published in collaboration with IOP Publishers as open access papers in electronic proceedings within IOP Conference Series Earth and Environmental Science (EES, http://conferenceseries.iop.org) and submitted for indexing by ISI (Web of Science) and Scopus. A book of abstracts will be made available to delegates in electronic form. The participation in the scientific part of the event is subject to a registration fee. Please note that the registration fee of the conference allows for up to two submissions. Travel and accommodation costs for the participation in the SBE19 Brussels – BAMB-CIRCPATH event are to be covered by participants. 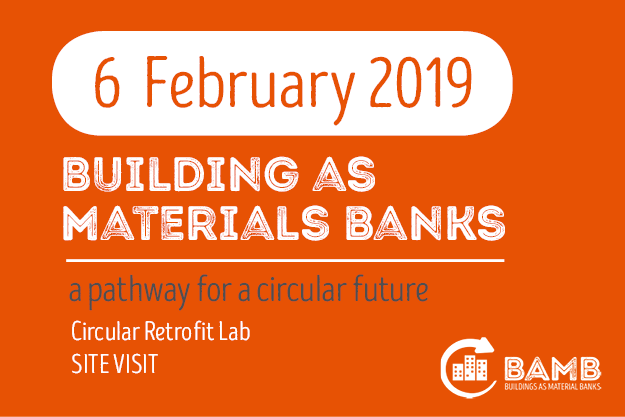 Visit the BAMB pilot Circular Retrofit Lab, that investigate and demonstrate how Reversible Building Design can prevent demolition waste when refurbishing existing buildings.